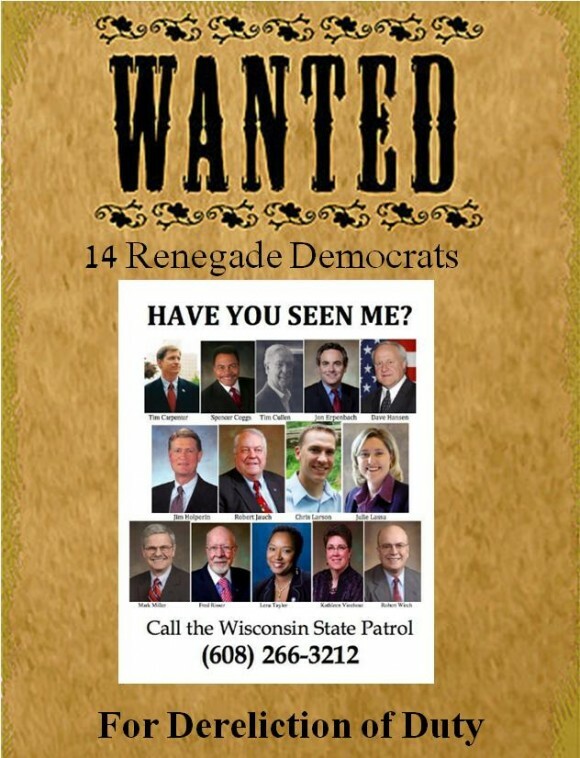 Recall efforts were initiated against 7 of the 14 AWOL democrats hiding out in Illinois this past week. Dissension is gripping the 14 unpopular Wisconsin fleebaggers. Fox Nation has learned exclusively from a highly placed source within Wisconsin state politics that the fourteen AWOL Democrats are experiencing “dissension in the ranks.” State Sen. Julie Lassa (D) is pregnant and “extremely unhappy” about being on the run. State Sen. Jon Erpenbach (D) has been hit particularly hard by his paycheck being withheld. Wisconsin State Senate leadership is currently negotiating with eight of the fourteen to come home. Gov. Scott Walker (R) has declared today the deadline for action on his budget repair bill and plans to give a budget address at 5 p.m. ET. A deal may be announced around that time. The unpopular AWOL Senate Democrats have less than 24 hours to return and vote on a measure to reduce the power of public sector unions. UPDATE: I blame the Cornstalkers.